Learn to quilt by making your own lap quilt. We will guide you through the process of making a simple lap quilt. You will learn fabric selection, measuring, cutting, sewing and all the basic skills needed to enjoy the hobby of quilting. Classes run by appointment so call or email today. The Tuffet is back. Join us in making your own tuffet/foot stool. 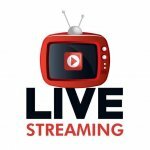 Our bi-weekly Live Stream. News and interactive online shopping.